Nearly $17 of my budget last month went to yogurt. That’s more yogurt in one month than we bought all year! Once I did the math, making my own yogurt became number one on the to-do list after the grocery budget reset. Sure it can be done, but is it easy? Because if it’s not easy, I don’t want to do it. I want (and need) the simplest version available. Give me homemade yogurt for dummies. Call me chicken, because I am, but sticking a filled – and open – jar of ANYTHING in big pot of boiling water really scares me. The pictures show yogurt. My brain sees expensive organic milk spilling over from my jars into the water. OBVIOUSLY it can be done correctly, but I’m skeptical of my own yogurt-making skills… especially since they’re non-existent. Scratch it off the list. My second choice was Aimee from Simple Bites. Her yogurt 101 is also super easy and the cooking method was unbeatable – a heating pad! How can you screw up a heating pad? You can’t! That is my kind of yogurt. Sign.Me.Up. In full disclosure, there is a super-easy slow-cooker method, but I heard it comes out runny. Me no likey runny yogurt, but if you like runny yogurt, give it a whirl! There may be a old wives tale saying milk cools at a rate of one degree per minute. This could be a byproduct of my imagination, but with “exercise” on my to-do list, I had something to keep me busy. You know, the typical day of a stay-at-home-mom – multi-task-mania. And as it turns out, the cooling rate is somewhat accurate too! Yogurt is kinda sneaky. You can do everything right, but you won’t know it until 8 hours later. You can make one tiny little mistake, and you still won’t know it until 8 hours later. Making yogurt is a leap of faith. But the heating pad is a safety net. In a medium saucepan, heat milk 180 degrees, stirring occasionally (about 15 minutes). Remove the pan from the heat and allow to cool to no warmer than 115 degrees (about 70 minutes). Place the yogurt in a small mixing bowl and add ½ cup or so of the cooled milk. Whisk to blend well. Add the yogurt mixture to the remainder of the milk and whisk to blend thoroughly. Pour the milk to a clean quart-sized jar (or several smaller sized jars). Screw on the lid and place on a heating pad set to "low." Wrap a towel around the jar and cover it with a large inverted soup pot. Allow to incubate for up to 24 hours, but at least 8 hours. Here are some photos for those who are visual learners. Heating pad set up on the counter. 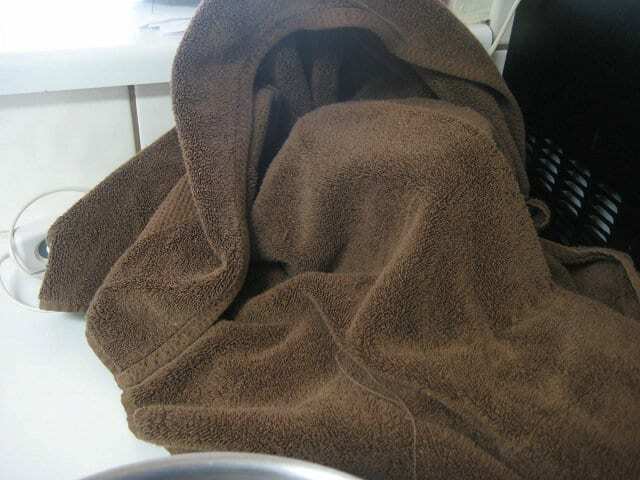 I took a bath towel, folded in lengthwise (hot dog) and placed one end on the counter. The heating pad is plugged in and on low, folded on top of the towel. I don’t know if the heating pad could burn the counter tops, but since we’re renting, I didn’t want to risk it. 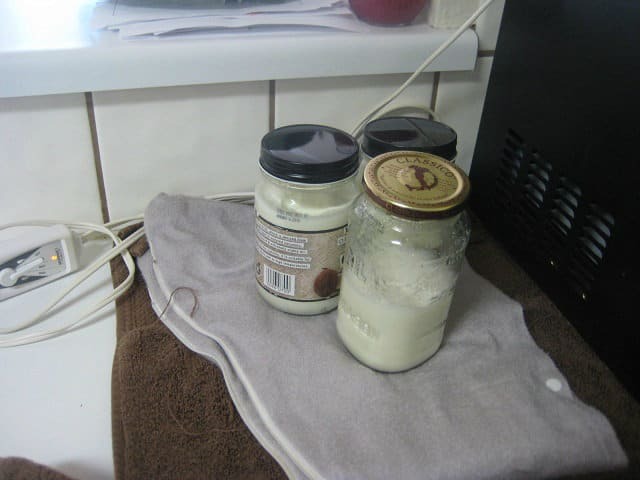 My three jars on the heating pad filled with cooled milk/yogurt. You can’t see it well in this picture, but I folded the towel over the jars first, then covered them with the pot. The term “incubate” from the recipe made me think “warm” and I thought another layer of towel would help the process. 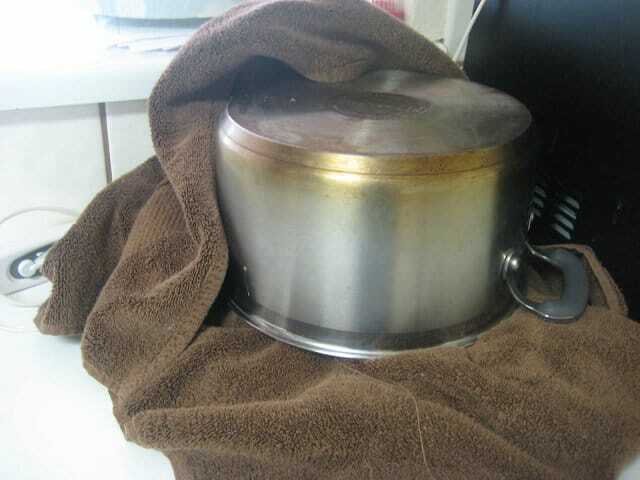 Towel wrapped over inverted pot. Ta da! The final product, 8 hours later! As you can see, the yogurt is really thick. I scooped some out and the yogurt didn’t fill in the hole – and this was right after incubation. It firmed up even more after refrigeration! Lactose intolerant? Allowing the yogurt to culture for a full 24 hours removes nearly all of the lactose in the yogurt. No one in my house has lactose allergies, but I gave a quart to a friend and neither her nor her husband experienced any allergy symptoms – and they are both lactose intolerant! Want a thicker yogurt? You can make your own Greek yogurt at home with this method. BONUS: since that strainer is stainless steel, you can use it to strain kefir too! Read my extensive write-up on homemade yogurt at Kitchen Stewardship, and more about traditional dairy in the Dairy: A Factual Udder-Taking series HERE. Have you made your own yogurt before? We’ve been making our own yogurt for a few months now and it has been a huge budget saver! I do use the crockpot method (which I had previously given up on because of the runny yogurt issue), but I’ve found this go-round that if you start with a greek yogurt starter the yogurt comes out MUCH firmer. Happy with it, so that’s what we do- cause I don’t have a heating pad! Aha! Thanks for sharing that tip Jennifer! I wonder if that’s the key to removing milk powder from this recipe – supposedly it adds to the thickness. I’ll have to experiment on the next batch! We use the crock pot method for yogurt as well. Our first batch came out runny, but the kids enjoyed drinking it with a straw. After that, we have added 1 small envelope of unflavored gelatin to the mix, right after adding the yogurt starter to the warmed milk. Turns out perfect! Hi! Has anyone tried pure clay yogurt makers. I was looking all over to get a decent yogurt maker and stumbled upon mecware.US and to my surprise these MEC yogurt makers are amazing and gives you a naturally silky thick yogurt, no need to add any thickeners or strain. My family and i are enjoying the delicious thick yogurt thanks to this amazing product (yogurt maker). I’ve been making yogurt for over a year now. I started with an Easiyo yogurt maker. Which is basically a large thermos that you put the yogurt in a quart size plastic jar and then into the thermos which you then fill with boiling water. After awhile that quit working, sort of like it wasn’t keeping the heat in, I didn’t care for the thought of hot liquids in a plastic container either. So I tried the heating pad method, worked well, but I wanted something that didn’t use much electricity and that my cat wouldn’t try to take over while we were sleeping (she loves sleeping on a heating pad.) That’s when I discovered what I call the Oven Light method. I make my yogurt like you, milk, yogurt (sometimes I add 1/2 cup powered lowfat milk) heat it up same as you. Then once it’s cooled I put it into pint jars and set them in my oven over night with ONLY the oven light on, I place the jars as close to the light as I can get them. NO HEAT. At first I tried a quart jar but it was a little runny for me so I began using pint jars. The last time I made yogurt I used my small Weck jars. You would not believe how thick the results were. I tried to drain some to make yogurt cheese and it didn’t even fall out of the jar when I turned it upside down overnight! I think using the smaller jars allows the yogurt to “make” quicker too. You won’t need to leave it over night. When people see my yogurt they can’t believe I make it myself, and the taste!!!! Unbelievable, just add fruit and honey or agave syrup or maybe a drop of lemon essential oil…. out of this world. I’ve been making my own yogurt for a few months now and actually do the method from KitchenStewardship. I’ve never had a milk jump out of my jars so don’t be too intimidated! Sometimes if I have too much water and don’t turn down the temp a bit after it’s boiled I have water spill out of the pot but it’s never negatively affected anything. Your method looks easy enough, maybe I’ll give it a try. The best ever yogurt treat is a bit of berry freezer jam mixed in homemade yogurt with some granola on top… it’s almost better than ice cream! Thanks Elizabeth, hearing that water jumps out, instead of milk, is a bit reassuring. Your yogurt treat sounds delicious! I’ve heard of people taking out entire pints of freezer jam in one sitting. That may be a dangerous temptation! Ok seeing you have sucess makes me want to try one more time. My kids are addicted to Mountian High Yogurt. We love supporting a local company but wow it has gotten expensive. What kind of starter did you use? I used either Trader Joe’s plain organic yogurt, or the Fage from Costco. We had both in the fridge at the same time, but I took from the one unopened. Now that one is gone and one is open, I’m not sure which it was! Based on another comment, I’d go with the Fage for thick yogurt though. I used Mountain High yogurt as my starter. After that you can just keep using 1/2 cup from your last batch as a started. 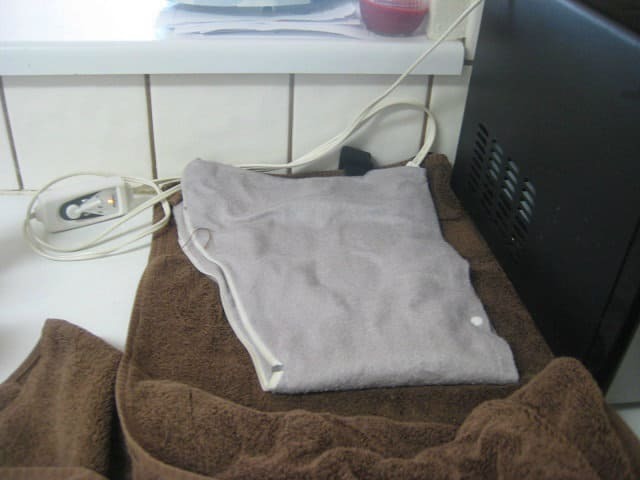 I love the idea of using a heating pad because hot water is very tricky. If your yogurt gets hotter than 120 degrees it will kill the culture. It might still taste good but, it will not have the health benefits of fermented yogurt. I use the crock pot method too, and it is so easy. Starting with Greek yogurt definitely helps and if it’s still too runny for you just pour off some whey or run it through cheese cloth. Sooooo … how did it taste? Do you notice a difference in your fresh yogurt compared to the store bought stuff?? I’ve made yogurt in the past, even invested in a yogurt maker complete with a bunch of little jars and an incubator. I’ve been thinking about taking the plunge again, but now all I buy is raw milk from up the dairy farm up the street. Making homemade yogurt from raw milk has me a wee bit nervous. The homemade version tasted like store-bought, but with less tang. I think reducing if not eliminating the powdered milk next time will fix that. Mixed with other stuff though, can’t tell the difference. 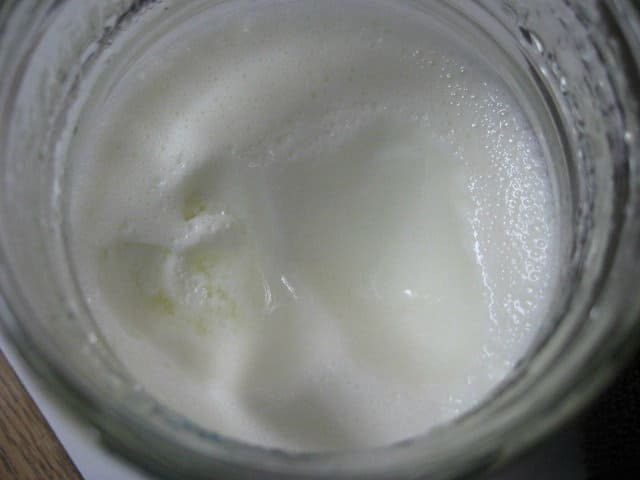 Making yogurt with raw milk CAN be done, and Kitchen Stewardship has a fantastic write-up on it. It requires a little more watching I believe, but I think you’ll be a pro after one attempt! I have been making my own yogurt for years and just love the taste. So much better than what you buy from the stores. Hillary, RE: raw milk you need to pasturize it first….sort of. I know it has to be heated up to a certain temp. for a certain period of time. I believe the temp. is 180 degrees. Check on the internet and you can find the info. Tiffany, if you let you yogurt set longer than the eight hours, it will thicken more or you can double or even triple the amount of yogurt you are using for your starter. Also, if you let it incubate longer it will be tangier. I usually let my yogurt incubate for 12-14 hours and I don’t have any problems. One word of caution to anyone making their own yogurt,make sure containers and lids are thoroughly washed and rinsed..the hotter the water the better! Thank you for all the wonderful tips Mary! I plan to make another batch this month and I’ll be sure to come back to this! A heating pad! I like this idea. I gave up on the crockpot after the runny issue too. Fresh yogurt is simply THE best tasting yogurt in the world, so I’m happy to have another method to try! I did try the jars in the pot of water. I used ball jars. One of the jars bottom cracked clean off! What a flippin mess! And a waste of expensive raw organic milk. Now I make it the simple bites way, except I have a yogurt maker that holds small or large jars. My yogurt comes out delicious, creamy, and with very low tanginess. What a money saver making your own yogurt is. I’d love it if you shared this over on my blog’s new link up – Waste Not Want Not Wednesday, it’s a perfect fit for the theme. How cool! I haven’t seen this version. I think I’mgoing to try it. My friend shared some with me that she made in the crockpot and then put in her icecream maker with some fruit. I definitely need to try this! If you haven’t already, I’d love for you to visit my Gluten-Free Monday party at OneCreativeMommy.com and link up this and any other GF idea you would like to share. I hope to see you there. I’ve never made my own yogurt but I have several friends who do. 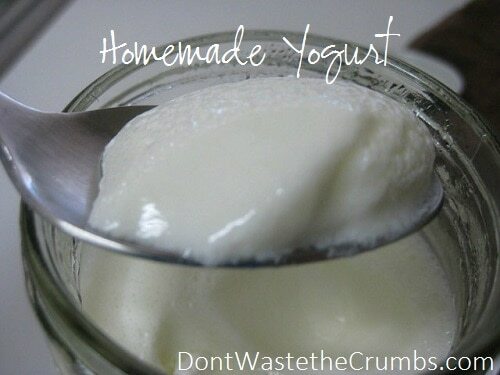 Your post is a great resource to get anyone started making homemade yogurt. Thank you for sharing it. This is a really great technique thanks for sharing it on foodie friday. we tried this the other day and it worked. I think my husband stood there for a minute before we realized it worked and then we did the happy dance. The other thing we found out was our heating pad has an automatic turn off after one hour. Not good since we started at night thinking it would cook over night. Love that husband of mine that got up once an hour to turn the heating pad back on. Totally worth it. Just have to find a new heating pad. Ok so we splurged (and I mean splurged, like it took 15 minutes for us to pick the thing up and pay for it splurge) on the new heating pad with no auto shut off. Now my next question is how do we flavor this stuff? My older kids don’t mind adding the fruit and granola to it but, the picky one won’t touch it unless it is strawberry with no fruit chunks. Help. Who knew buying a heating pad would be such an ordeal, lol! Heather, try essential oils to flavor your yogurts. Food grade essential oils of course. Lemon or orange are fantastic! I use about 15 to 20 drops EO to a pint of yogurt. I add the EO to the cooled milk/starter when I’m filling my jars before the incubation process. Depending how well you stir the EO into the milk will determine how much EO comes to the top of the jar during incubation. Just whisk any EO back into the yogurt before serving. Lemon yogurt with a little agave syrup and blueberries is one of my favorites, but orange, with agave syrup and dark chocolate chips is pretty darn tasty. Have you tried this yet without the powdered milk?? I have wanted to try making my own for some time now. I think I will finally give it a try but would rather not use powdered milk if its possible to do without it. Dawn! I hadn’t realized that portion was still there – thank you SO much for asking! I use UHT or UHP (ultra high temperature or ultra high pasteurized) milk because it has already been pasteurized and is shelf stable. Why heat it more when it has already been done? Regular milk from the dairy case is not high temp pasteurized and therefore it is necessary to heat it before using for yogurt as far as I know. When you heat the milk you are already doing what has been done for UHT or UHP milk. The other way to go is powdered milk and Organic Valley has organic powdered milk. I use Nestle’s Nido because it has been fortified with vitamins. I don’t heat this type either. Those in the cooler climates often use mesophilic cultures that require no device to heat them and culture at temperatures of 68 to 78 degrees. The article also questions the ability of UHT milk to adequately support microbial life. You may be making ‘yogurt,’ but I wonder if any of the good bacteria is truly surviving in its newly created environment. Powdered milk is also highly processed, even if it’s labeled organic. Don’t let that word fool you – organic does not necessarily equate healthy. I have seen plenty of organic junk food on store shelves and even with the magic word it still doesn’t offer any more nutrition than the conventional item next to it. I can’t offer much in the way of Hare Krishna (other than what a quick search on Wikipedia can provide), but I can say that there has only ever been one true incarnate and that was when God was born into the flesh as Jesus Christ. I would never follow the teachings of anyone who believed otherwise, even in simple concepts such as making yogurt. Thanks Tiffany for all the links responding to UHR & fortification…that’s my next read?! Amen to your gracious reply & reference to God, our Heavenly Father! Good food for thought???? On making your own yogurt, you mention milk powder in your method of preparation, but do not mention milk powder in your ingredients. How much milk powder do you use also? I stopped used powdered milk in the prep and removed it from the ingredients, but forgot to take it out of the instructions. Thanks for the catch Willi! Most other tutorials I have read recommend heating only to 110 degrees. Seems like 180 would kill the good stuff??? I’ve been making yogurt for almost a year now. I began with an Easiyo yogurt maker which quit working after a few months, I don’t think it was maintaining the needed warmth. Then I went to the heating pad method. About a month ago I switched to the oven method. I also switched to using pint Mason jars instead of quart jars. I fill my jars and set them on a baking sheet on the center rack of the oven as close to the oven light as I can get them. I leave the light on (oven OFF) over night and in the morning I have yogurt. I can then strain it but I really don’t need to, after refrigerating for a few hours, the yogurt is so firm I think I could hold the jar upside down without it pouring out, but I don’t want to take the chance that I spill any. Aww making yogurt seems so simple. I believe I will get my husband to help me this weekend and make a batch using the heating pad. He has a Poultry Science degree and has made yogurt and sour cream while in college, so I will be putting him to the test of helping me. 🙂 Can’t wait to try homemade yogurt, I love the stuff. I need to be on low fat diet due to health issues. I use 1% milk for cooking & drinking. I buy 32 oz containers of non-fat Dannon yogurt & add my own fruit. Would like to try making my own yogurt. Can you use 1% milk to make your own yogurt? I am not on the grid, so making yogurt using electric would not be the best way to do it. Some mention doing it in the oven. Where will I find the directions for making it that way?. I love yogurt and would love to try making my own. Barbara, I make yogurt in the oven, it’s really easy. I make my yogurt as usual and then put it in either a quart jar or split it between pint jars. I put the lids on the jars and place it in the oven as close to the oven light as I can get them. I leave them in the oven over night with ONLY the light on. The next morning I move them to the fridge. If I want Greek yogurt I strain it for a few hours before putting it in the fridge. Side note – My husband would LOVE to live on a boat! I know this is an old post, but I’m just getting into the homemade bread, yogurt, and butter. Do you know if I can use milk that is about to go out of date or do I need fresh milk? Does the fermenting help preserve it? If so, this would be even better since we hardly ever finish a whole gallon of milk. Hi Janell! Yes, you can use milk that’s about to expire. The fermenting changes the bacteria in the milk, so “bad” bacteria is replaced with “good” and it’ll be good in the fridge for 3-4 weeks (at least mine is). When I first started making yogurt, I’d buy a gallon, make yogurt with half (for smoothies & general eating) and leave the rest for drinking & coffee. That method worked great – just when it was about to go bad, we’d finish it up! I don’t suppose you can make this with already spoiled milk? I have 3/4 gallon of raw milk that just turned because my milk-loving son (would go thru a gallon a week himself!) overnight decided he didn’t like the taste of milk. AAARGGHH!! Such a waste! I’m pretty sure I can’t use it, but thought I’d take a long shot. I learned how to make yogurt about a year ago. I make a gallon of it at a time. I use the heat pad method in my utility sink in the laundry room. I put down a folded towel the heat pad and then surround my full jars with pillows and even top it off with a pillow. I make sure I use quality yogurt with as many cultures as possible and it has never failed. A smoothie is about the only way I can get my husband to eat both yoghurt and fresh / frozen fruit! I like mine for breakfast with a little homemade jam stirred in. First, we use the oven light to cook the yogurt! It’s so simple! We make ours in the evening, and then line the oven rack with a couple of towels, and wrap the pot too. The power of just the oven light cooks the yogurt to perfection overnight. Second, we strain our yogurt. Once it comes out of the oven, we plop it into a strainer lined with a non terry cloth towel, and set it in a bowl in the fridge for a couple of hours. Our favorite toppings are honey and homemade granola! I love the oven light method Mandy! I would totally to this, except our lightbulb went out, lol. I love these ideas!!! My daughter first got me into the natural, healthy thinking, and I’m slowly being converted. lol It takes me a while to make changes, but this method of heating pad, and oven light sounds right down my alley of simple, tried and true! !